UCF Student Health Services provides a variety of primary and specialty care services to help keep students at their optimum health. 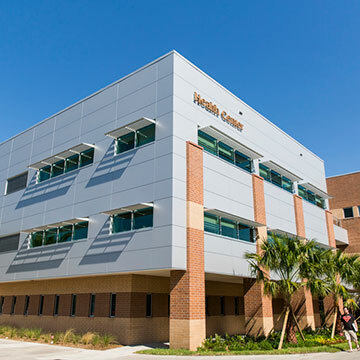 The Main Health Center is located on the Main Campus, and satellite clinics are located at Knights Plaza by the CFE Arena, at the Rosen campus and Health Sciences campus. Our services are designed with students’ needs in mind.